Looking for experienced and professional Cleaners? Allow Ultra Cleaning to take care of any cleaning services that you may require. We are passionate about delivering high quality cleaning services in Melbourne. Ultra Cleaning Melbourne provides the cleaning services in Melbourne with our trained and qualified professionals. We have been providing professional cleaning services in Greater Melbourne area for over 10 years and have an unblemished record. Ultra Cleaning Melbourne includes some heavy cleaning jobs, that take more effort and time. We are always striving to offer a better cleaning service compare to our competitors. And we encourage our clients to let us know if they see any room for improvement. Our policy is to meet or exceed the expectations of our customers by supplying bond cleaning services that confirm to their specified requirements. That’s why we are only move out and move in cleaning company in Melbourne offering best cleaning service guarantee. We always like feedback and listen to our clients. 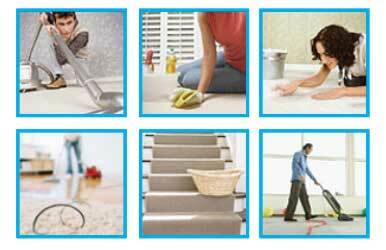 We are the top class and best Melbourne cleaning services providers. We believe in 100% customer satisfaction and therefore aim to offer reliable and guaranteed services. We deliver the domestic cleaning services in Melbourne as well as the commercial cleaning services Melbourne. The superior quality cleaning is what we feel pride in and have thousands of satisfied clients saying the same for us. We are the deep clean specialists of the end of leases. You will get the fully cleaned and germ-free room at the end from us. The expert cleaners for the same are the best in their businesses. We offer reliable and efficient carpet cleaning services whether it is for commercial cleaning Melbourne or domestic cleaning Melbourne. When it comes to carpet cleaning, our name is in the top list companies. We are the leader in providing the professional house cleaning services. Whether you require the regular cleaning or the weekly or fortnightly or monthly, we are always available for you. Whether you are residential or the professional client across the entire Melbourne, we take pride in providing all the services. From the smallest house to the big building, our cleaning agency Melbourne is for all. The team consists of all reliable and experienced workers. At Ultra Cleaning Melbourne we pride ourselves on the quality of work we provide. We strive to deliver a quality of cleaning service that exceeds all customer’s expectations. You will leave good impression after using our move out cleaning. Ultra Cleaning Melbourne will make sure you leave the house just as you found it! We provide regular weekly, fortnightly or monthly house cleaning services. Our Move Out Cleaning provide quality and reliable Carpet Cleaning Services. Our Vacate Cleaning Melbourne include window cleaning services. 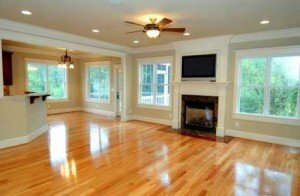 Ultra Cleaning is a full and deep clean of the whole property. We includes cleaning of all rooms, fixtures, furniture, electric appliances and windows. We are cleaning specialists in Melbourne. And we have thousands of happy customers. See our clients reviews about our cleaning Melbourne. Thorough carpet cleaning of each room. Cleaning walls, window sills, and skirting boards. Oven and range hood cleaning. Mark removal from walls and full house cleaning. Disinfecting bathrooms, showers and toilets. You can place your trust in Ultra Cleaning’s professional bond cleaning services. Ultra Cleaning Melbourne guarantee to return your bond back. We guarantee our services, promising to fix any issues identified by your real estate agent associated with our full internal end of lease cleaning service, without any extra cost. At Ultra Cleaning we have thousands of happy customers in Melbourne. Send a quote request through to us. We would love to help you clean your house.